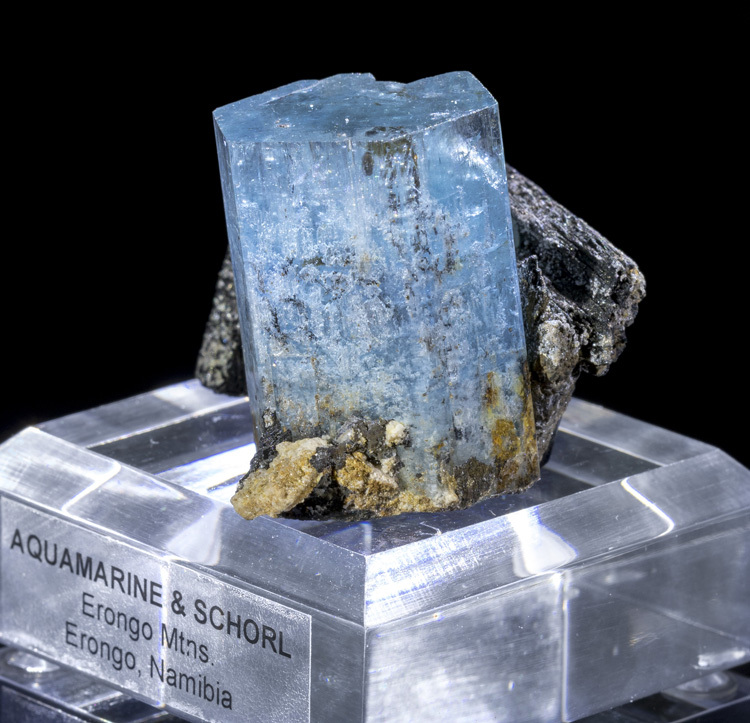 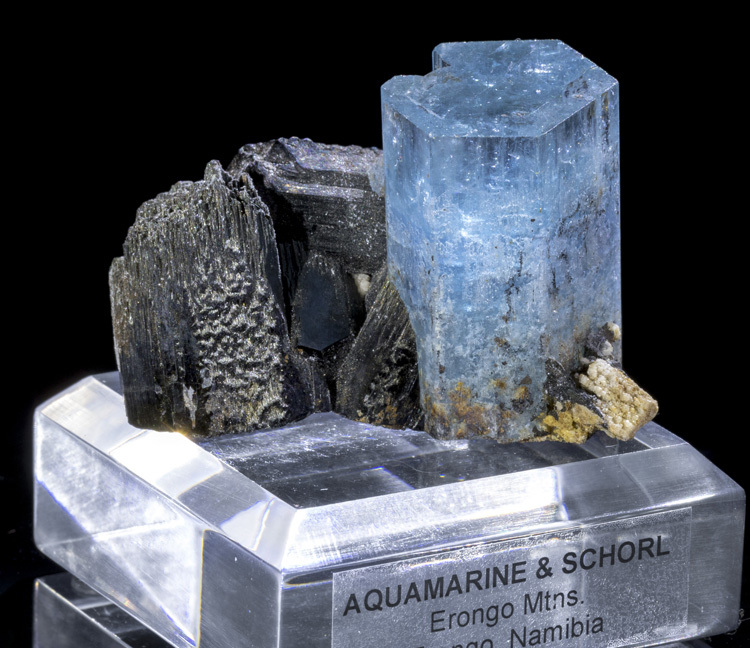 Here is a very aesthetic and high quality specimen from Erongo. 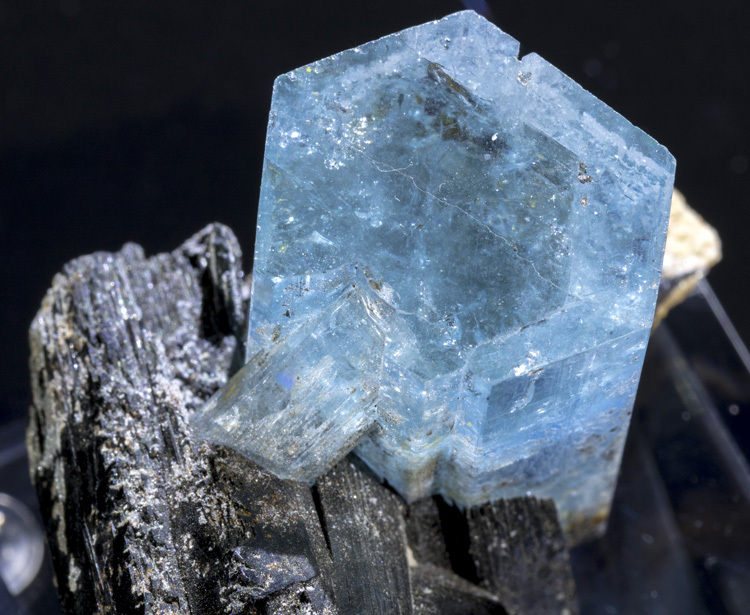 The blue aquamarine crystal has excellent, saturated color with a perfect termination and no damage. 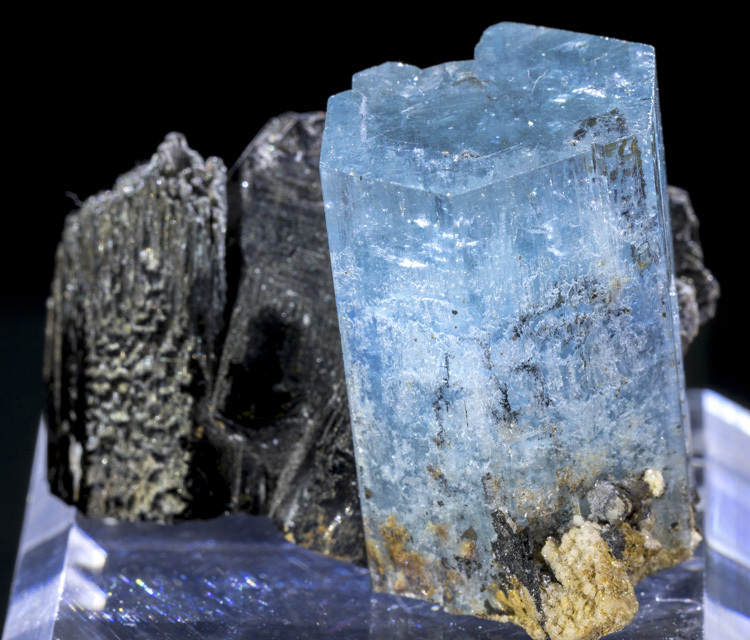 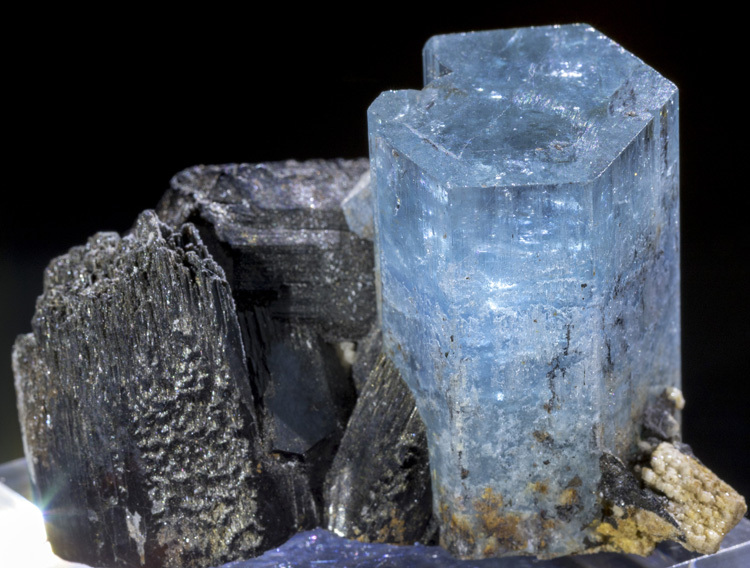 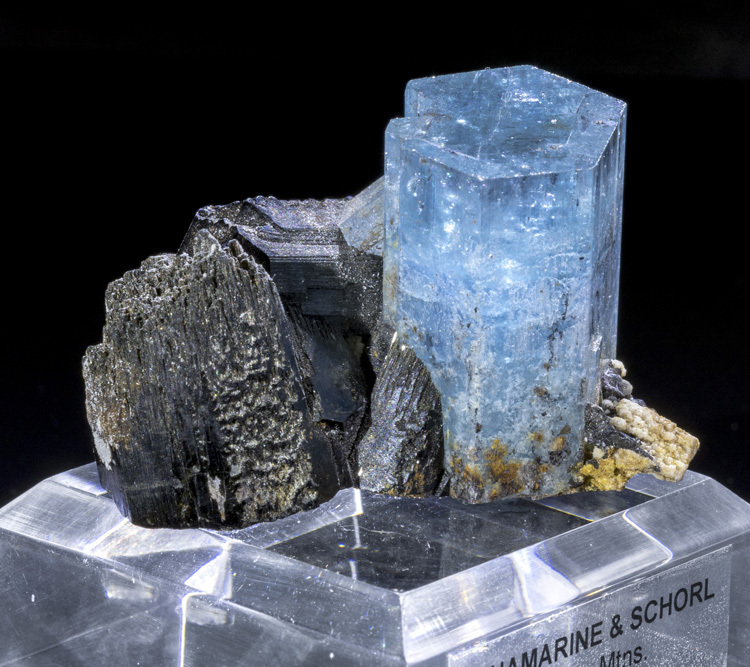 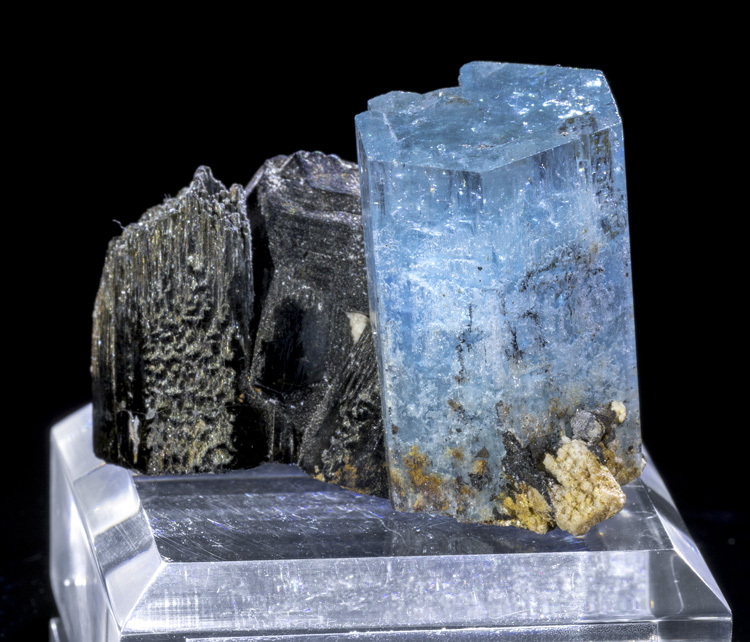 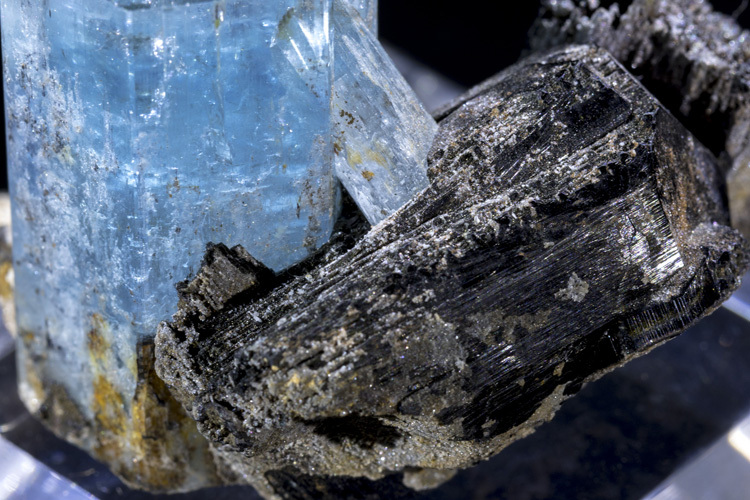 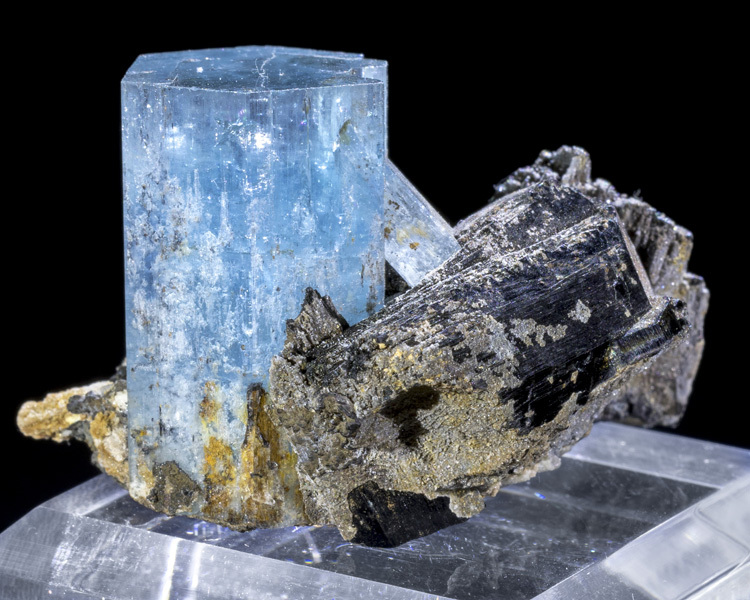 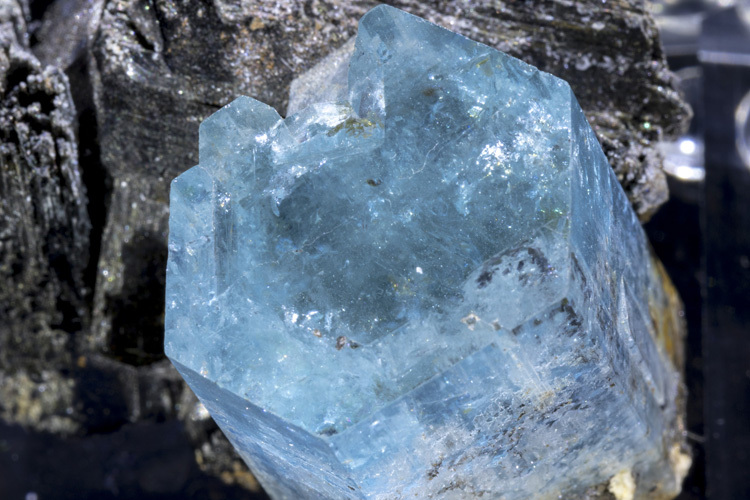 There is a smaller aquamarine crystal in back which is actually growing diagonally into the backside of the larger crystal. 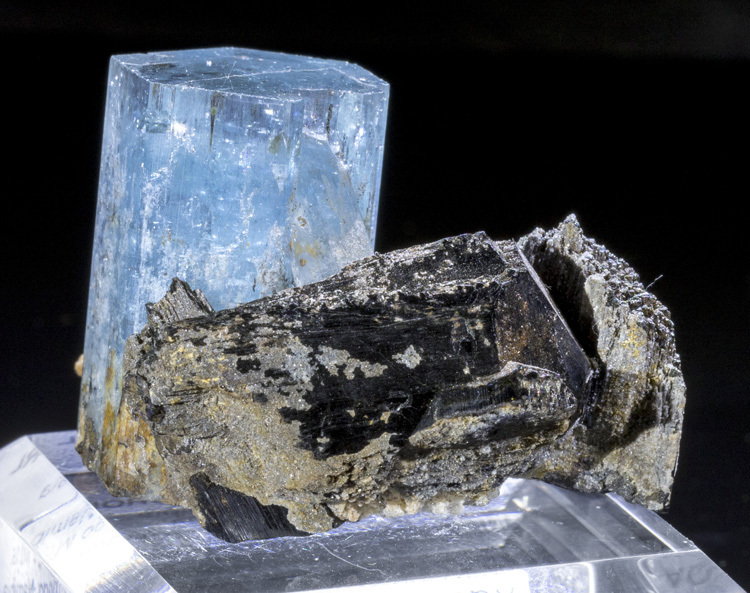 The large crystal is 1" wide and 1.3" tall! 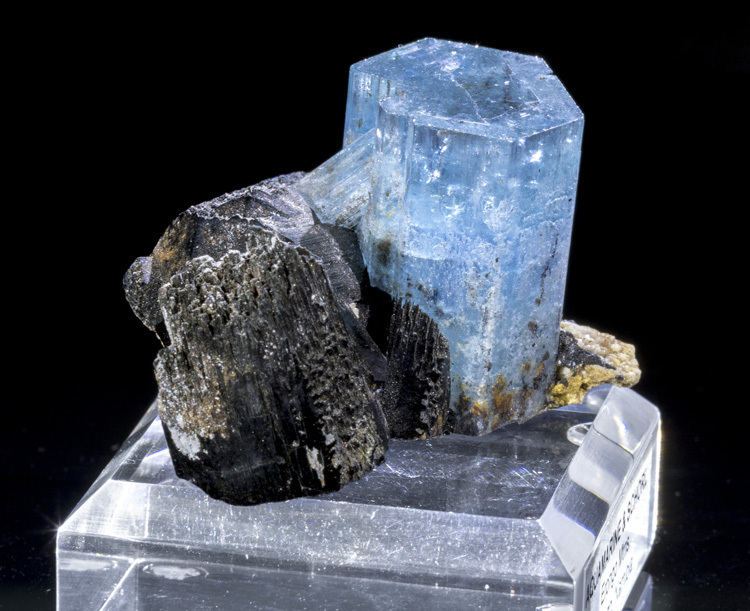 The black schorl tourmaline gives great contrast against the blue aqua.